Wow we’ve had some weird weather this year. Summer was unseasonably cool and rainy. Then we had a week of spring-like weather. Thanksgiving was in the 20s. The first week of December was in the 60s and now it’s cold and rainy. There is no telling what Christmas is going to be like. The one thing that we know is that this winter is unpredictable. Unpredictable winters usually mean snow or ice storms. In Atlanta, winter storms shut down the city because we don’t have a lot of those machines they have up north to clear roads. Personally, I like being snowed in (as long as there is power). It makes you step away from work and spend time with family and friends. There isn’t the pressure or temptation to go out because everything is closed and you can’t drive. It nice to work out then watch movies, eat snacks and take naps. And I nearly forgot to mention the best thing about winter storms; SNOWBALL FIGHTS! If you’re wondering how this article relates to interior painting, you’re not alone. I just realized that I forgot where I was going with that intro because I was thinking about how much fun snow ins are. Because they predict that we are going to have wild winter weather, we will probably all spend a lot of time inside of our homes. Since the weather outside is going to be cold, dark and possibly dreary, you should do everything possible to make your interior feel warm, cozy and inviting. 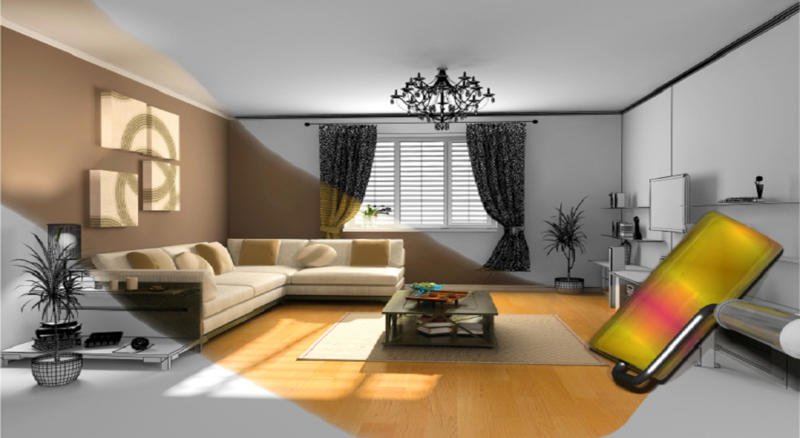 Interior house painting is the easiest way to achieve this goal. 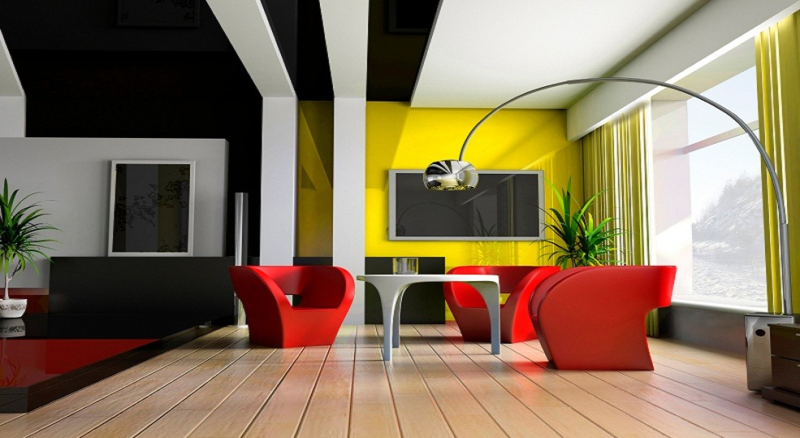 New colors or even flatter finishes can make your home’s interior feel entirely different. Because GreenWave Solutions is one of Atlanta’s finest interior painting company, you should call us to get an estimate for interior painting. We are giving 15% interior painting projects until March 15, 2014. Call us today to get a free estimate. Remember, GreenWave Solutions also does cabinet finishing, exterior painting, color consultations, drywall installation and more! GreenWave Solutions Drywall Contracting Services. GreenWave Solutions has grown and evolved over the years. We started doing VOC compliant painting, cool roofs, photo voltaic energy systems, rainwater harvesting and radiant heat barriers. It turned out that people didn’t care that much about sustainable contracting so we discontinued many of those services. What survived the recession was our paint contracting division. Residential painting didn’t just survive, it thrived. Along with house painting came other painting/coating related services. One of these service was drywall contracting. We found that there was a gap in the drywall contracting industry. The limitation was that they weren’t professional drywall contractors that did small to medium residential drywall projects. If you needed to drywall entire apartment complex or a new house, you can find lots of contractors. However, if you only wanted to drywall an unfinished basement or even a few rooms in an unfinished basement, you don’t have many reputable options. Another void we saw in the drywall industry was that most drywall contractors didn’t offer painting services. This was most surprising. As a business person, I didn’t understand why you would hang and finish all the drywall and not offer to prime and paint it, too. You make more money, duh. Contractors aren’t known as being the sharpest tool in the van. We already had the painting part of this equation covered so we started researching and interviewing drywall professionals. It turned out that some of our crew leaders knew drywall guys so we joined forces. The outcome was GreenWave Solutions drywall contracting services. Our drywall contracting is a full service solution from studs to paint. We hang, tape, sand, finish, prime and paint drywall. We also install trim, doors, and moulding. Do you have an unfinished basement and want to make a guest room, office or playroom? GreenWave Solutions can do this. Our prices are competitive to other high-end contracting services. It’s November and that means it’s officially holiday season. We have Thanksgiving, a month of holiday parties and finally New Year’s Eve. All these holidays mean a lot of holiday guests. Holiday guests include family, in-laws and co-workers. Sometimes guests use the condition of your home as a discussion topic. We all know that most in-laws would never judge you for not having fresh, clean walls, some do. If you have been putting off your interior house painting all year, November is the time to get it done. We understand that the holidays can get expensive so we are offering 20% off all residential painting projects over $2,500 the rest of 2013. If your needs are smaller and you only need a room or two painted, we will give you 10% off any jobs under $2,500. Don’t wait too long because GreenWave Painting Solutions’ schedule fills up fast this time of year and you only have a few weeks before the guests start coming. Call 404-549-7776 to schedule your free estimate. GreenWave Solutions is Atlanta’s first ‘green’ painting company. Our professional house painters serve most of Metro Atlanta including Brookhaven, Sandys Springs, Buckhead, Inman Park, Grant Park, Chastain, Vinings, Virginia Highlands, Roswell, Alpharetta, Chamblee, Dunwoody, Decatur and more! 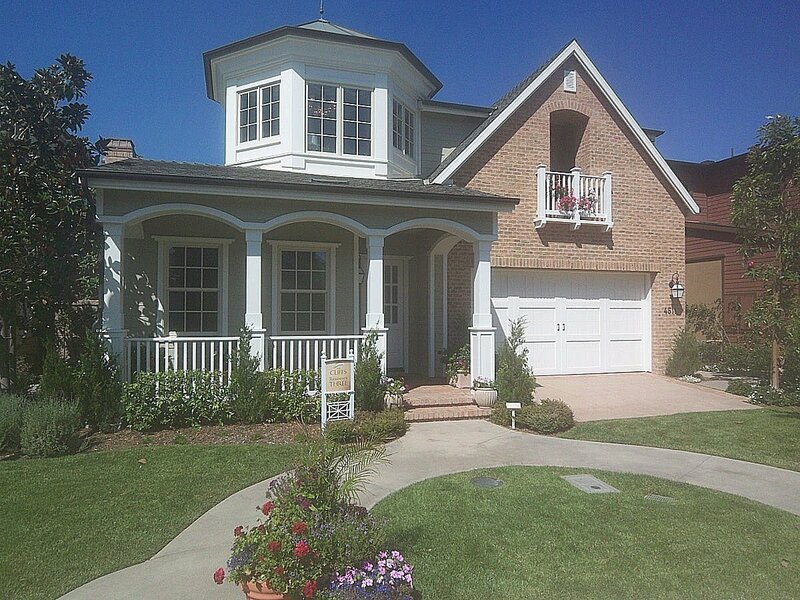 Residential house painting is GreenWave Solutions’ specialty. You must have professional and trustworthy painters because you are inside people’s homes and around their families. The painters must be clean and careful because they work around furniture, decoration and other valuable property. Painters must be skilled at using high-end coatings, professional finishing and painting straight lines. Painters must be polite and respectful as they typically work in close proximity to women and children. The above stated characteristics of residential painting contractors are equally important because ignoring any one can cause huge problems. GreenWave Solutions carefully interviews and screens all of our painters because we understand the importance of employing high-caliber people to represent us. We know that our fantastic reputation is what separates us from the competition and strive to provide our clients with the best service possible. We train our painters about how to use high-end specialty coatings, as well as the importance of demonstrating professionalism to all of our clients. As we prepare to grow GreenWave Solutions for 2014, we are offering residential house painting promotions. One of the most exciting promotions we have is 15% off all residential house painting in the Atlanta Metro area. Call us today to schedule your free residential painting estimate! Is that football I hear? Yes it is! And football means that Fall is here. We didn’t have a typical Atlanta summer this year. It was one of the coolest and rainiest summers in recorded history. It was good for interior painting, however, many Atlanta residents postponed their exterior painting projects due to the constant rain. I’m not a weatherman, but I’m right about the weather about the same percent of the time and I hope that we have an unseasonably dry and warm Fall. 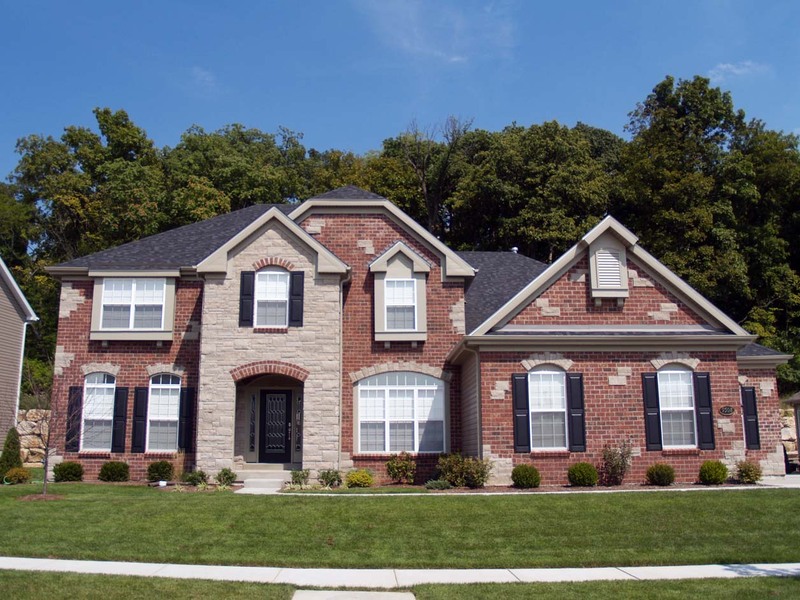 Typically, Fall is good season for exterior painting. The lower temperature and relative humidity allow the paint to dry at near perfect conditions (manufacturers rate most coatings at around 70 degrees at 60% humidity). Also, there is no pollen or surprise thunder showers like in Spring and Summer. GreenWave Solutions is offering 15% off exterior house painting in Atlanta to help our neighbors that didn’t get to take advantage of our Summer specials. These are only some of the many services that our skilled painters, carpenters and craftsmen do to make your home a more beautiful place. Call us today to learn more about GreenWave Solutions’ services and specials. Our professional interior and exterior painters serve Atlanta, Alpharetta, Roswell, Brookhaven, Dunwoody, Sandy Springs, Buckhead, Midtown, Grant Park, Inman Park, Decatur, Chamblee and other affluent Metro Atlanta suburbs. Not only is it Atlanta’s newest city, but also our home. Since its incorporation in 2012, Brookhaven has quickly become one of Atlanta’s premier addresses. Brookhaven’s demographic breakdown is similar to Dunwoody and Sandy Springs: affluent, educated professionals. 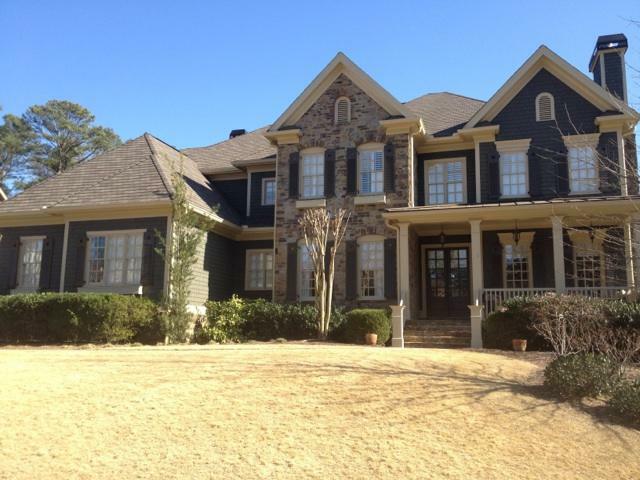 Also like Sandy Springs and Dunwoody, Brookhaven has a wide array of homes. From brand new to 60 years old, Brookhaven has a little bit of everything. Brookhaven needs painting contractors that can do a lot of everything. GreenWave Solutions can handle any kind of painting and coating project. As City of Brookhaven charter members, GreenWave Solutions is Brookhaven’s Official Painting Company. Because GreenWave Solutions wants to give back to the community that has been so good to us, we are offering specials on residential painting in Brookhaven. Call GreenWave Solutions today to get your free estimate and learn more about our Brookhaven house painting specials and promotions. Dunwoody GA, incorporated in 2008, is an Atlanta suburb with a population of about 46,000 people. Dunwoody, Georgia is only 12 square miles, but that is enough to pack in a lot of goodness. This mostly residential Atlanta suburb has a great mix of old homes and new homes. The styles of homes are also very diverse. From 1960’s one-story ranch styles to 2010’s stacked stone mansions, Dunwoody has a little bit of everything. Having so many different types of homes requires house painters in Dunwoody to have large skill sets and experience. One day you may be painting a 5 year old house whose paint is simply faded or worn and the next project could involve a 50 year old house with 6 layers of lead paint that is cracking and peeling. Although both of these projects are paint jobs, they each require very different processes and licenses to be completed correctly (and legally). The Environmental Protection Agency (EPA) has found direct correlations between lead’s toxicity and the rise in dumb people in America. Lead paint was not banned until 1978. Consequently, there is a high probability that any home built prior to 1978 contains lead paint. Because of lead’s acute dangers, the EPA requires contractors working on pre-1978 home to earn lead removal certifications. This certification proves the contractor understands the dangers of lead and knows how to safely abate the lead and paint or renovate the home without putting anyone in lead danger. GreenWave Solutions is RRP Certified by the EPA and GPD. GreenWave Solutions is lead paint certified. Dunwoody, GA has been good to us, so we want to give something back. GreenWave Painting Solutions offers 15% off to all residential painting projects in Dunwoody GA through October 1st 2013. Call GreenWave Solutions today to get your free estimate and 15% off for Dunwoody painting projects. Sandy Springs was one of north Atlanta’s first affluent communities to get annexed as a new city. Sandy Springs’ residents fought long and hard to gain independence from the City of Atlanta. City of Atlanta didn’t want to lose the valuable tax dollars from this affluent suburb, but Sandy Springs wanted the ability to control zoning laws and codes to make the area as nice as it should be. Once Sandy Springs was incorporated, it got nicer almost immediately. The new city cleaned up many of the city of Atlanta’s zoning missteps. You can see remnants of this on Roswell road in the form of “massage” spas and dirty apartments. But fortunately, most of this has been abated and Sandy Springs property values have boomed. 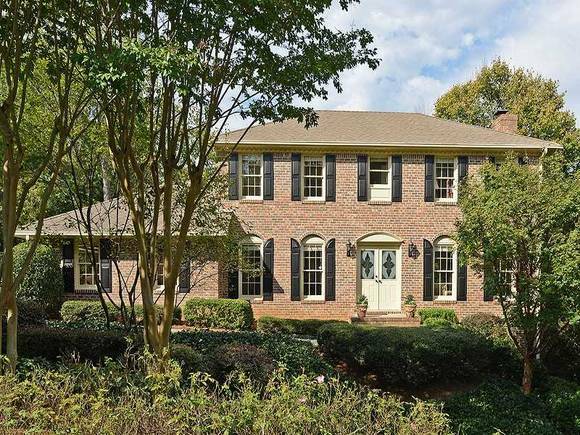 Homes in Sandy Springs, like much of Atlanta, are very diverse. Some houses were built in the 1960’s and others were built during the last few years. Either way, many of these house need painting and home improvement and that’s where GreenWave Solutions comes in. Based in Brookhaven, GreenWave Solutions has been serving Sandy Springs for nearly 10 years. 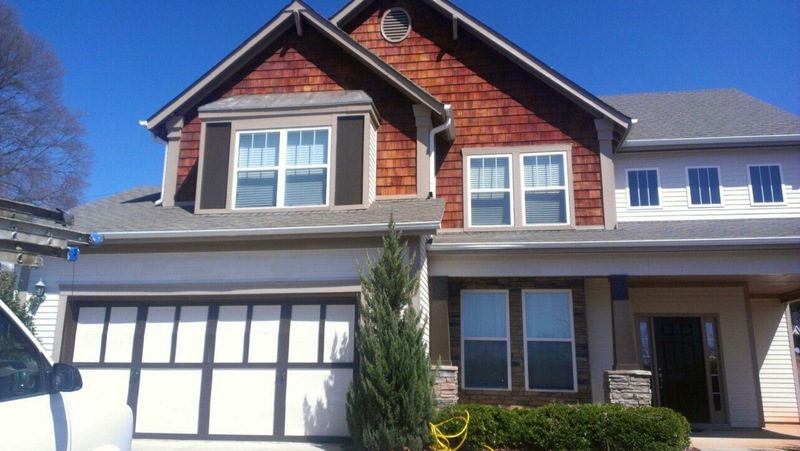 Our Sandy Springs painters have experience working on all of the different kinds of home in the area. Now that we are lead certified painters in Atlanta, we can perform painting and renovations on all of the homes in Sandy Springs, GA. Call us today for a free estimate at 404-549-7776! Buckhead is a community just north of Atlanta. While, Buckhead is not an incorporated city, everyone knows it. From fine dining and upscale shopping to Atlanta’s best bar scene, Buckhead is where you need to go if you want the best Georgia has to offer. Buckhead’s coolness doesn’t stop at restaurants and stores, the houses and condos are just as impressive. From cute, little old houses to 10,000+ ft2 cribs, Buckhead’s houses are full of character. Since Buckhead has the best restaurants, malls, and houses, we figured that it should also have the best painting contractor. Enter GreenWave Solutions. We have been painting and doing home improvements in Buckhead since the beginning. 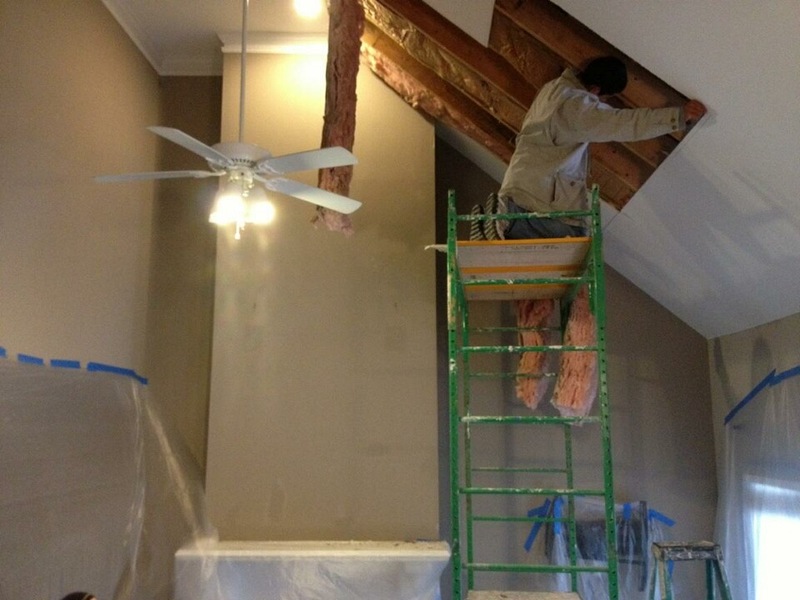 Our painters know what the houses and clients in Buckhead expect from a painting company. ALSO, GreenWave Solutions has received our RRP Lead Certification. This means that we are licensed by the EPA to safely and legally work on homes built before 1978 that contain lead paints. This lead paint certification is kind of a big deal. Up until 2010, the only party liable for doing lead work without a certified contractor was the contractor. This created a large market for home owners who would hire unlicensed contractors to do the work “on the low” to save some money. Now liability for doing unlicensed lead work falls on the contractor and the home. Stay tuned as we have an updated article about this…Back to Buckhead house painting. We are offering 20% off and lead paint abatement project during the summer of 2013. We are also offering 15% off any residential painting project in Buckhead through summer. These can’t be stacked on each other. While the temperature outside is hot, GreenWave Solutions’ prices are cool. We are offering 15-20% off all residential house painting and decorative concrete finishing services during the ENTIRE SUMMER! This includes our core service area of Metro Atlanta; Atlanta, Alpharetta, Brookhaven, Buckhead, Chamblee, Doraville, Dunwoody, Grant Park, Inman Park, Marietta, Milton, Roswell, Sandy Springs, and Vinings. GreenWave Solutions has a very large website boasting many services. We understand that it can be overwhelming so we created a list of services and their service areas. These are our core products for which we have the greatest demand. This list, by no means, represents the only services we offer. If you don’t see a home improvement service that you need or don’t see your city listed, please call or email us because we still may be able to provide you our first class service that Metro Atlanta has become used to. That’s impossible, isn’t it? Apparently not. Sherwin Williams released its line of water based alkyds about a year ago and they are pretty amazing. 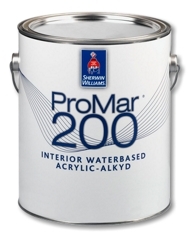 We have used both the ProMar 200 and ProClassic water based alkyds. I am reviewing the ProMar line because my painters reported better results from it. Upon opening the can of ProMar 200 wb alkyd, you will notice a smooth textured coating and a mild, sweet smell – like banana Laffy Taffy. Because we have only been using this product on trim, we have not poured it into a roller pan. We have either brushed or sprayed it from buckets. ProMar 200 WB alkyd has a thin body. It loads into your brush very nicely. It releases smoothly and evenly. For a thin bodies coating it covers well. Another advantage of this coating is its adhesion. ProMar 200 WB alkyd can be applied onto minimally prepared oil paints without needing a primer. You should give the existing oil some profile by either scuff sanding or liquid deglosser. The one pitfall that I saw was the urge to apply it too heavy or over working it. It levels extremely well for an acrylic coating. In order to avoid any runs or brush marks, apply it at a normal thickness and go. The paint does the rest. The cured finish of ProMar 200 WB alkyd it what makes this coating so impressive. It dries to a smooth, hard block resistance finish like an alkyd. I love ProMar 200 WB alkyd. For the price, it’s top of its class. It’s application, performance and finish are all comparable to a true alkyd, without the smell, slow dry time and messy clean up. I recommend this for trim, doors, windows and cabinets. (Note: This product is for interior use only). GreenWave Solutions is proud to serve the greater Atlanta area including Alpharetta, Brookhaven, Buckhead, Chamblee, Decatur, Doraville, Dunwoody, Johns Creek, Marietta, Roswell, Sandy Springs painter, Vinings and more. GreenWave Solutions is the best painter Sandy Springs has to offer. We are finally getting warmer weather, budding trees and blooming flowers! GreenWave Solutions is kicking Spring off with a positive attitude and would like to spread the good vibes by offering a painting special to all residents and businesses in Roswell. We are taking 15% off on all interior and exterior painting, deck cleaning and staining, pressure washing, drywall repairs, siding replacement, wallpaper removal, rotten wood replacement, floor refinishing, and more. The fresh air and beautiful weather puts everyone in a good mood so why not make your house feel the same way with a fresh coat of paint or a new look? Spring is the best time of year to get everything freshened up and GreenWave Solutions is here to help. To make everyone happy with a wonderful Spring mood we are offering this special to all residents of metro Atlanta. GreenWave Solutions is proud to serve the greater Atlanta area including Alpharetta, Brookhaven, Buckhead, Chamblee, Decatur, Doraville, Dunwoody, Johns Creek, Marietta, Roswell, Sandy Springs, Vinings and more. The ProMar line is one of Sherwin Williams flagship contractor brands. Centered on overall value, the Promar line offers great application and performance characteristics at very competitive prices. Sherwin Williams has numerous products within the ProMar brand; 200, 400, 700, alkyds, acrylics, lacquer undercoater, and even the new waterborne alkyds. This review is about ProMar 200 0-VOC interior latex. ProMar 200 is the highest quality coating in the ProMar line (400 and 700 are lower quality. It’s like golf, the lower numbers are better when dealing with ProMar). ProMar 200 has been in Sherwin Williams’ arsenal for a long time – at least 15 years. This paint has been the contractor’s choice when he needs a good “all around good product.” The iconic 200 line got an upgrade a few years ago. 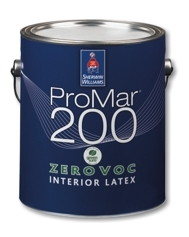 Sherwin Williams put ProMar 200 on steroids and released ProMar 200 0-VOC. Upon opening a can of 200 0-VOC, the first thing that you will notice is the smell; or lack of it. This is what ‘0-VOC’ means in English. The paint’s body is normal; not unusually thick or thin. ProMar 200 0-VOC applies easily. It releases from the brush or roller well without much drag. What I like most about it is that it comes in an ultra deep base and has incredible hide. Hide refers to how well it covers existing colors. Coverage refers to how much surface area it covers per gallon. 200 levels nicely and dries to a smooth, durable finish. Pricing can be misleading in our reviews. Because GreenWave Solutions is the best painter Atlanta has, we get outstanding pricing from Sherwin Williams. Our pricing, along with ProMar 200 0-VOC outstanding performance makes it one of our favorite products when clients want a great job at a lower price. ProMar 200 0-VOC is all around awesome. When you want value, check out this interior paint. You can’t spell Sandy Springs without Spring! Although it doesn’t feel like, Spring is just around the corner and it is time to plan your Spring cleaning. One of the largest Spring cleaning projects is your home’s exterior. And when your home is in one of the country’s most affluent zip codes, you have to keep it looking great. To get your Sandy Springs painting project started right, GreenWave Solutions is offering our 15% Spring painting specials. This discount includes all residential painting and staining projects in Sandy Springs GA; exterior painting, interior painting, house painting, pressure washing, deck staining and sealing, siding replacement, carpentry, rotten wood replacement, wallpaper removal, water repellents, and more. If you want the best painter Sandy Springs has to offer, call us today to schedule your free estimate. Don’t feel left out! We have Spring painting specials in most Metro Atlanta cities. Call to see if we are offering Spring specials in your area. Spring is right around the corner and the warmer weather is not far behind. Right now the days are longer, tax refunds are in the mail, and its time to clean up the house after the cold winter months. GreenWave Solutions wants to make sure your home looks its best for spring. Cookouts and pool parties are almost here! Whether you want a brand new color scheme or just a freshening up, we have everything you need. We offer color consultations to help you choose the perfect color scheme for your home. Our professional painters specialize in using the new, low and zero VOC paints that don’t release toxic fumes and look beautiful! We take the extra steps to ensure that your home, floors, and furniture are protected during painting. We also can help make your old faded deck look brand new! We are having our annual Spring specials. GreenWave Solutions is now offering 15% off interior house painting. If your interior looks good, but your exterior needs some TLC, we also offer 15% exterior house painting for a limited time. Call and schedule your free estimate today! GreenWave Solutions, Atlanta’s first green painting company, has been covering the Atlanta area for 8 years. Atlanta is made up of several neighborhoods whether you are considered Inside The Perimeter (ITP) or Outside The Perimeter (OTP). To name just a few of the neighborhoods we cover Inside The Perimeter are Buckhead, Inman Park, Grant Park, Ansley Park, Morningside, Vinings and Virginia Highlands. Our painting services include interior, exterior, residential house painting, deck staining, wood repair and replacement, wallpaper removal, popcorn ceiling texture removal, window replacement and more. A large portion of homes Inside The Perimeter of Atlanta are older houses and need a little more attention and love than new construction. Preserving older homes is different from working on houses that have been recently built. Oftentimes, older homes are better constructed than newer ones, but that does not mean the work and maintenance is easy. When it comes to paints and coatings, the products that were used are no longer being manufactured or may even be against the law to use. Also, they can be harmful to our health and the environment. Some examples are lead paint and asbestos insulation. Even when older homes don’t have toxic chemicals or carcinogens in their building materials, an experienced professional is required to do work correctly. Trained painting professionals know how to bridge the gap between the technology of the 1970′s and the 21st century. 30 years ago, using oil based paint on home’s exteriors was a standard practice, but in 2013 that is considered a big no-no. Over the past decades scientists have learned that alkyd resins chalk, crack, and fade in UV light very fast. Thanks to technological advances we now have acrylic resins, which help protect the home longer and are much safer for the environment. 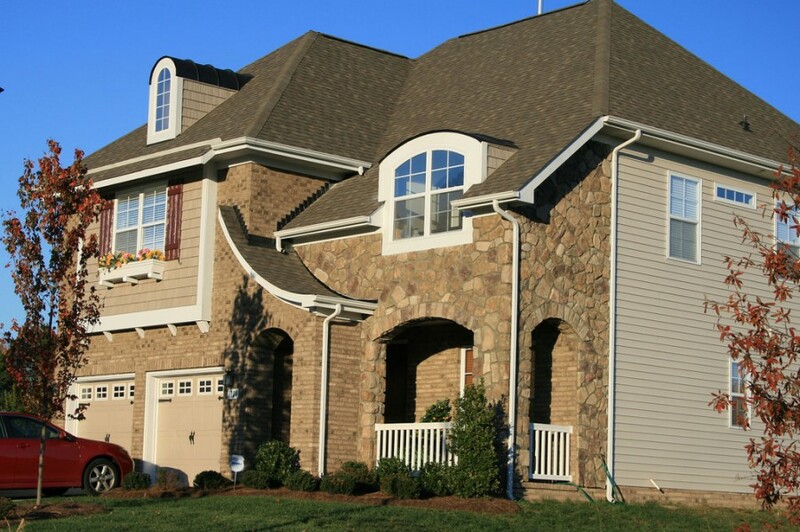 GreenWave Solutions’ painters are able to restore and preserve the beauty of Atlanta’s homes. GreenWave Solutions is the best painter Sandy Springs and painter Dunwoody has to offer. GreenWave Solutions offers painting in Alpharetta, Atlanta, Decatur, Sandy Springs, Roswell, Brookhaven, Duluth, Grant Park, Inman Park, Buckhead,Milton, Midtown, and more! These are reasons I hear people use for not wanting to use dark colors when painting. While all of these statements can be true, they are not always true. If you know when, where, and how to use dark colors you can enjoy the beauty and benefits of them. Dark colors are cool because they are more bold and expressive than lighter ones. They are, however, more difficult to use. No pain, no gain, right? Let’s discuss how to minimize the pain. First off, painting is not permanent. You aren’t choosing a tacky spring break tattoo, you choosing a paint color. Worst case scenario, you have to repaint. So the stakes aren’t really that high. Now that we have everything in perspective and no one is worried about destroying their house with a dark color, let’s discuss places where dark colors can always work. Powder Rooms – Who cares if it’s dark in a powder room? It is supposed to be tranquil and serene. And I am leery of anyone who needs a ton of light for whatever they’re doing in there. Bed Rooms – Bed rooms can be tricky. If your bed room doubles as a work space or family area, then you probably should stay neutral. But if you have large or private bed room, dark colors are conducive to bed room activities. Libraries – Not all homes have libraries or studies, but if you do have one, then you should explore dark colors when painting them. These rooms usually will have judges paneling or wainscoting which can add to the beauty of these areas. Now that you know where dark colors are appropriate to use, we will discuss when to use them. Whenever you want. That is the beauty of painting in your home – you can do whatever you want. It looks good if you like it, Shallow Hal! They show wall imperfections, lap marks, and bad drywall finishing much more than light colors. These limitations are real. If you have kids or animals that are going to abuse the wall, then I don’t recommend dark colors. If you have poorly hung or finished drywall, I don’t recommend dark colors. Now that you know a little bit more about dark colors, I hope that you are feeling bold and ready to make a room in your house look like a magazine picture. I do have one trick up my sleeve that makes using dark colors easier. Sherwin Williams’ Color To Go quarts. For $5, you can get a quart of sample paint in any color of the rainbow. Buy these and use them. Also, look at the color during morning, afternoon, and night. Dark colors can change their appearance based upon natural light, artificial light, and shadows. 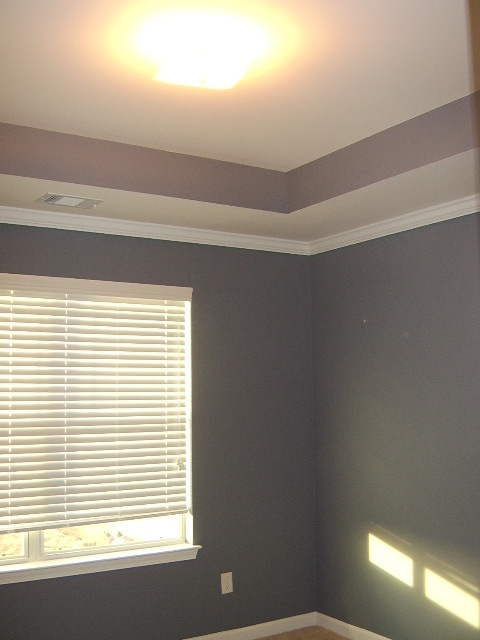 GreenWave Solutions offers color consultations and interior painters in Roswell. We are offering Roswell house painting specials so call today to schedule your estimate when you need a Roswell painter – 404-549-7776. 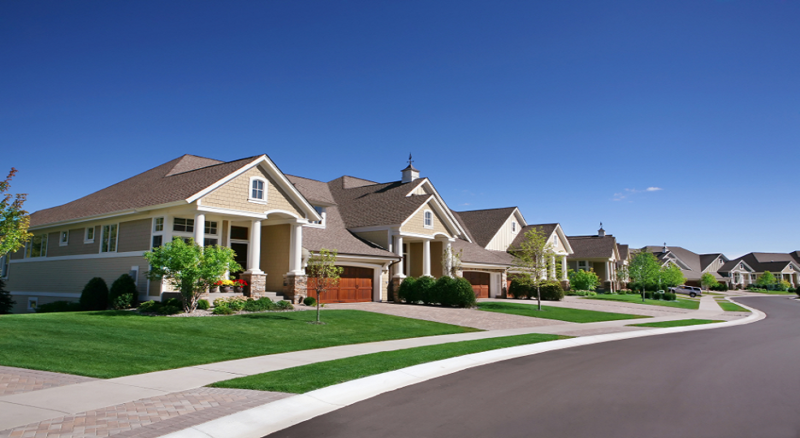 We also serve Atlanta and its affluent suburbs. Chamblee, GA is included in GreenWave Solutions’ expanded coverage area. This means that Chamblee businesses and residents will enjoy the same high-quality, green painting and home improvement services that have made GreenWave Solutions a fixture in Atlanta’s high-end contracting scene. 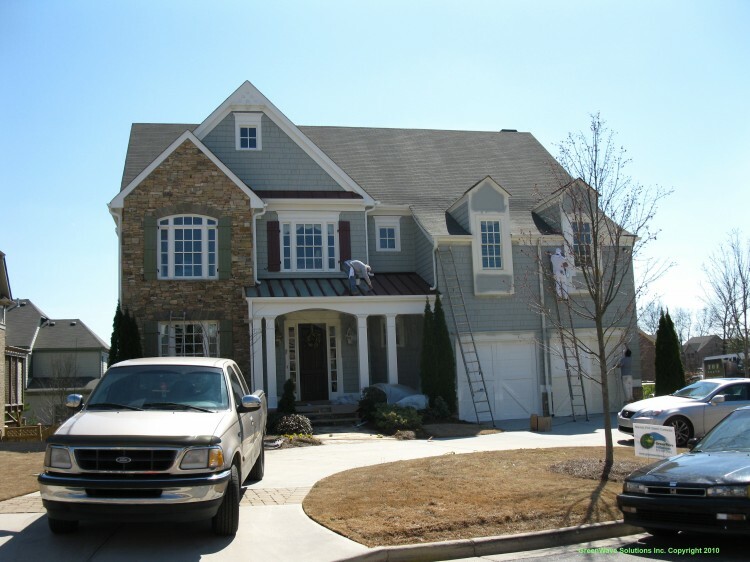 In order to kick of our 2013 expansion to Chamblee, GreenWave Solutions is offering a 15% discount for all Chamblee painting projects until June 1st, 2013. This includes interior painting, exterior painting, deck staining and sealing, carpentry and wood repair, drywall finishing and any other premium GreenWave Solutions service. GreenWave Solutions is Atlanta’s first green painting contractor and the best painters in Chamblee GA.
We also serve Atlanta, Alpharetta, Buckhead, Brookhaven, Dunwoody, Decatur, Grant Park, Inman Park, Johns Creek, Marietta, Milton, Roswell, Sandy Springs, and more. GreenWave Solutions is expanding its coverage area to Marietta for 2013. This means that Marietta residents will have access to the same premium painting services that Atlanta has enjoyed for 8 years and counting! 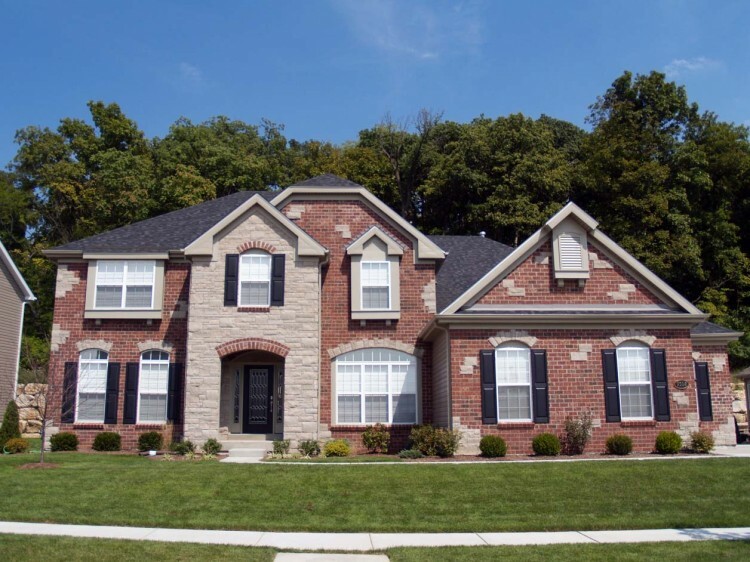 Our painting services include interior, exterior, residential house painting, deck staining, wood repair and replacement, wallpaper removal, popcorn ceiling texture removal, window replacement and more. Marietta is an historic and diverse suburb of Atlanta. Homes range from very old to very new. Our professional painters are skilled at beautifying both. 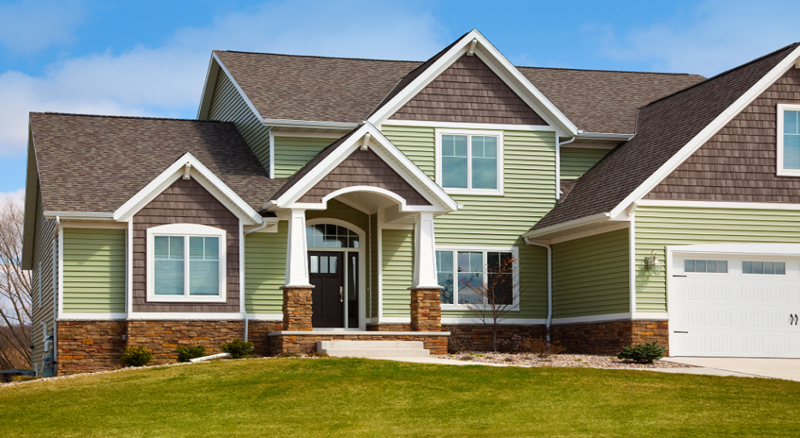 From stucco to siding, GreenWave Solutions does it all. 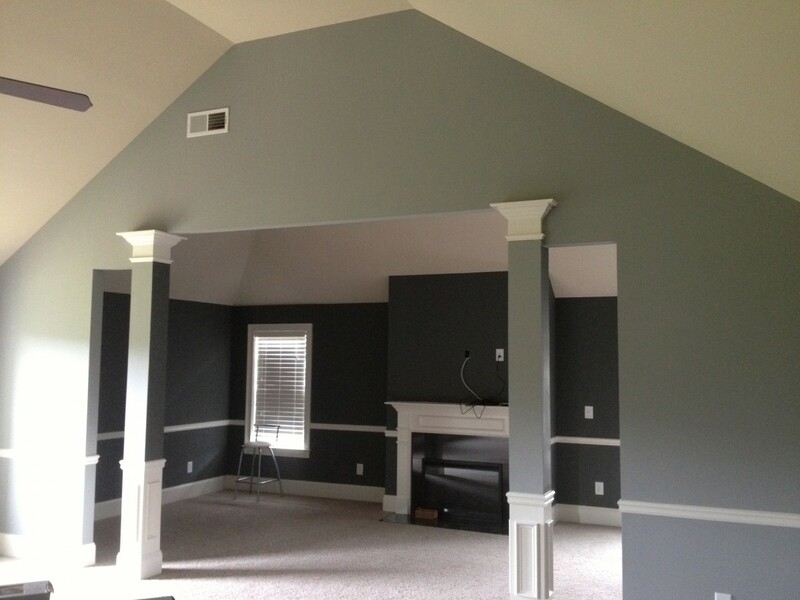 In order to kick off our Marietta house painting services the right way, we are offering a 15% off Winter special on all interior and exterior house painting in Marietta until May 1, 2013! Call today to get your free estimate – 404-549-7776. GreenWave Solutions is a premium painting company in Marietta. We also serve Atlanta, Alpharetta, Buckhead, Brookhaven, Chamblee, Dunwoody, Decatur, Grant Park, Inman Park, Johns Creek, Milton, Roswell, Sandy Springs, and more.